All Christians should know how to administer basic medical care to their family members and those to whom they minister–that was the conviction of John Wesley, who insisted that in addition to the Bible, there were two books that every Christian home should have. The first, Thomas A Kempis’ The Imitation of Christ, which Wesley considered helpful for the promotion of spiritual health. The second, Wesley’s Primitive Physic, he considered helpful for the promotion of physical health. Most Methodists today are unaware of the second volume, and scholars who come across it often dismiss it as a collection of “home remedies.” This seriously misjudges its nature and its centrality to Wesley’s ministry. He read broadly on the topic of medicine throughout his life and gathered most of the remedies in Primitive Physickfrom prominent medical authors of his time. This was as much a use of his scholarly gifts to provide aids for his people as was his collection of theological writings in theChristian Library. Moreover, in the preface to this volume (and in other publications) Wesley added advice for promoting wellness to his suggestions for treating wounds and illnesses. He was not simply offering cures but promoting physical flourishing. We Christians contemplate far too seldom how discipleship extends to the body–what we eat, how much, whether we set aside time for exercise and proper rest. It is almost as if these things are extraneous to discipleship–and they are in most Christian concepts of discipleship, because discipleship is considered to be about spiritual matters, not physical ones. For Wesley, however, knowing how to provide basic health care to others was an essential part of the Work of Mercy of healing and comforting, and disciplining our bodies was an essential complement to disciplining our souls. Separating “spiritual” discipleship from “physical” discipleship is artificial. God intends to mirror his son to the world through not only our souls and spirits but our bodies as well. Praying for physical healing for ourselves and others is incomplete unless we recognize that our bodies are not ours to begin with. We steward them as his temple. So how can we profess “healing faith” when we are sick if we are stuffing his temple with Cheetos when we are healthy? 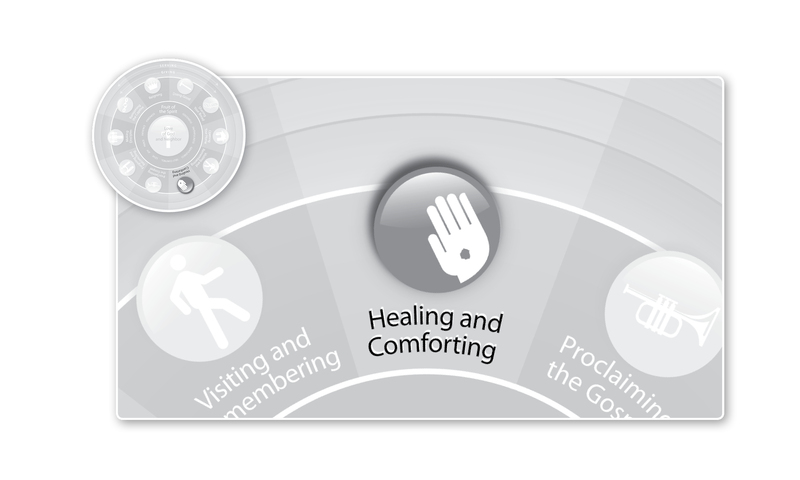 Consider investing in some books and training on health and medical care this month as part of your commitment to the Work of Mercy of healing and comforting.